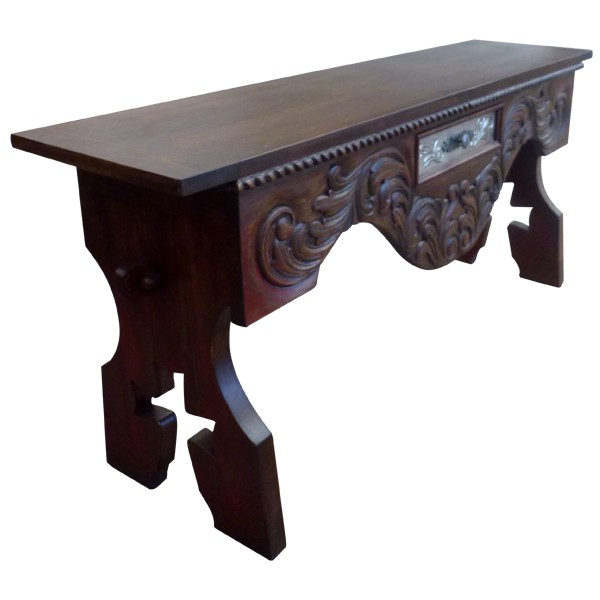 This luxurious, handcrafted, Western console is an example of the functional art that we design and create. Centered in the front of the console is a spacious, rectangular drawer, and the drawer is covered with hand hammered copper and embellished with hand tooled, copper floral details. The drawer has a silver finished, hard forged, iron, pull handle in its center Below the drawer is a solid wood apron, and the apron is adorned with magnificent, hand carved floral and scroll designs. 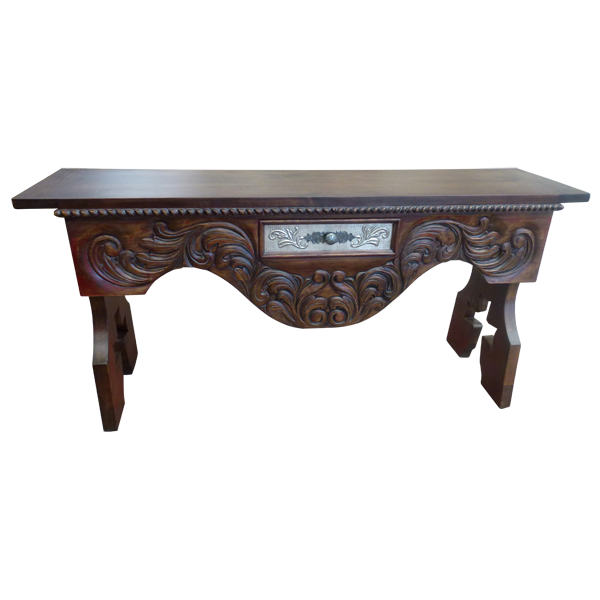 The console has a large, open top, and under the top rim is a lovely, hand carved, twist rope design. The console rest on robust legs, and the base of the legs have a cut out cross design. The console is finished with an opulent, dark, antique stain, and it is made with the best, sustainable, solid wood available. It is 100% customizable.